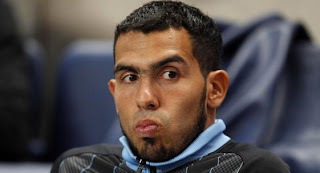 BlackwaterBLUE from monkster.com: Shock suggestion of Tevez in January!? Shock suggestion of Tevez in January!? Andre Villas-Boas is likely to bring in a couple of new faces during January when the next transfer window opens and has been linked with several players; Hazard, Godin and Higuain to name a few. But of all the names Chelsea have been linked to, Carlos Tevez could possibly be the next big name signing through the door at Stamford Bridge. Tevez has stated that he would be happy to remain in the Premier League and, if he does, London and Chelsea could be his destination. Although should Villas-Boas approach Manchester City for Tevez, it is likely there will be some strong negotiations on the part of both sides regarding the transfer fee involved. The other big name Chelsea have been linked with is Luka Modric. It has been well publicised that the Blues tried to sign Modric during the summer and a potential deal could also be resurrected - as reported here earlier in the week.